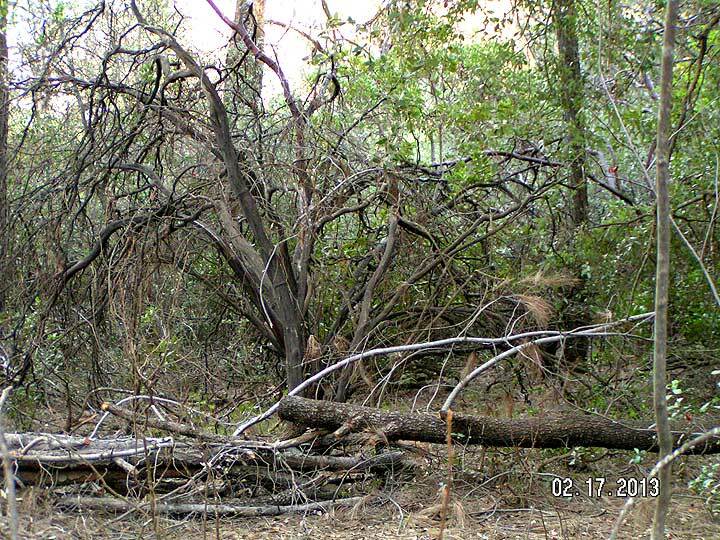 When I moved up to Psi Keep the underbrush was so thick I could not see down the driveway. 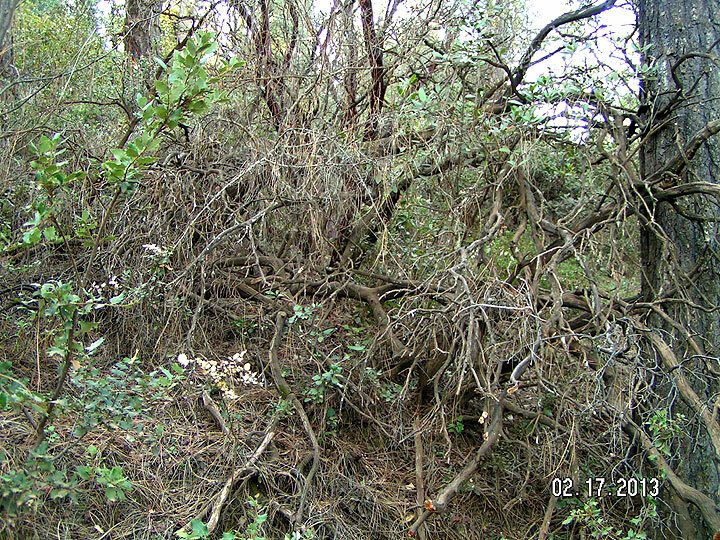 Below the orchard is was so overgrown with dead-fall and poison oak it took me three days just to chainsaw my way through the gate. That first summer I slowly worked my way through a wall of vegetation a hundred feet long, fifty feet thick and thirty feet high. Lucky for me I am not allergic to poison oak. If there was some commercial use for it I would have had a cash crop. As I cleared out the underbrush I freed the young saplings. I rolled up bundles of poison oak and hauled them up the hill to pen where I kept my two goats. They ate the poison oak as fast as I could haul it. We were a team the goats and I! All summer I hauled and all summer they ate and began making more goats. Posted on February 17, 2013, in Caretaking the Forest, Psi Keep Center for the Arts and tagged brush clearing, forest maintenance. Bookmark the permalink. 5 Comments. Several years ago, my husband and I owned 73 acres in interior Mendocino County and our days looked a lot like this minus the goats. The San Clemente goats are indeed beautiful. Very exotic looking! Are you planning on making goat cheese from their milk? Yes I do make goat cheese when the milk is available. It looks like you have a great thing going here with your goats. They are wonderful animals. We love goats and I take my children to the Redwood Hill Goat Farm in Sebastopol each spring when they invite the public to visit and hold the baby kids. What a great place that you have to play with. My thought of what you could do on some of this open space would be to create a stone labyrinth. It is great for working out problems and for meditation. Yes I was thinking of more of a stonehenge labyrinth. But will need help on that one.